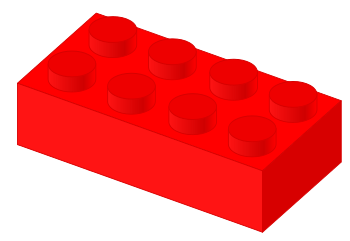 Everyone loves Lego – except of course when you tread on a brick with your bare feet or cannot see the living room floor for brightly coloured ‘creations’. So it is a bit of a surprise that we’re only just seeing the first full-length Lego movie (imaginatively titled The Lego Movie) hitting UK cinemas now. We’ve already had short Lego films, pastiches of other films (my personal favourite is the Camelot song from Monty Python’s Quest for the Holy Grail) and innumerable video games. As a parent of Lego-age children I’m sure I’ll be visiting the cinema to see it this half term, but what has really impressed me is the marketing around the film. As well as the traditional online, cinema and print ads, Warner Brothers have looked further afield. For example, the whole of one ad break in Dancing on Ice was made up of traditional adverts, re-shot entirely using Lego characters and bricks. From BT to Travelodge, it didn’t really matter how good the original ads were – the Lego ones were a whole lot better. And this has been backed up by a very active social media strategy, dating back a number of months. This sends you to a website where you can create your own mini figure which you can turn into a poster, icon or wallpaper. Of course, Lego the Movie (and indeed the overall brand) has a big advantage over a lot of its competitors. It is intrinsically linked to pretty much everyone’s childhoods, and the urge to create is something that most of us don’t grow out of. However the company has used its strengths and extended itself very naturally to the film and online spaces (witness its CUUSOO site where the community votes on potential new models). Consequently people have flocked to the movie and a sequel is already in the works. We can’t all have the brand power of Lego, but brand marketers and startups alike can learn a lot from how the company operates. It is open, friendly and inclusive, great at customer service and most importantly, doesn’t rest on its laurels. There is always new stuff coming out – from electronics-based Mindstorms to more traditional models. Children and adults love the Lego experience and have an emotional connection with the brand that grows over time. You don’t really grow out of it. Look at your own company – how can you build your own little bit of Lego into the DNA? Minus the painful standing on a brick, obviously.